A guide for what to see if you just only have one day in Bangkok? If you’ve only got one day in Bangkok, it’s more important than ever to make sure it counts. Bangkok is an eclectic, sprawling city with a never-ending supply of things to see and do. Below are Inspitrip’s recommendation for things to do in Bangkok for one day! Thailand is a most populated city is easy to get overwhelmed with. It’s massive and vibrant and pulls visitors in different directions: shopping, history, food, dancing on rooftops, a whole other type of dance show, and more. If you only have one day in Bangkok, here are our suggestions for Bangkok experiences that can all be done in one day. The best way to get around Bangkok is using public transport. From the airport, you can take the Airport Rail Links: City Line or Express Line and then use one of BTS Skytrain or the MRT (metro train). Check out the routes at the official website of transport in Bangkok. Vending machines at the metro stations are user-friendly, as there is an English language option. In any case, you can ask for help from a staff member at the station. The majority of the staff speaks English and is very helpful. By the way, all trains are fully air-conditioned. Taxi in Bangkok is very affordable and safe. Pink taxi is very reliable. Just agree with the driver that he switches on the taximeter. Local public buses are super cheap. You just have to figure out which number will bring you to your destination as the schedule on the bus stops is either in Thai, or you won’t find it at all. Ask for directions at the hotel and explain you wish to take a bus, as they would most probably advise you to call a taxi. 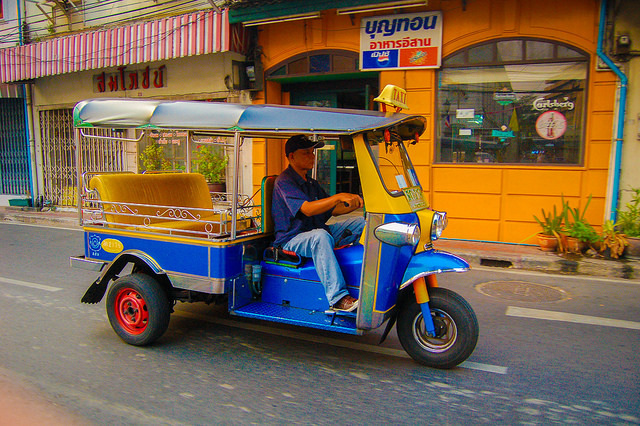 Meanwhile in Bangkok, you should try hopping on tuk tuk, an open taxis for short distance. Remember to confirm tuk tuk fare with the drivers. Start your day at the Grand Palace as it is a more slow-paced excursion outside the bustle of the downtown area so will leave you with energy for the afternoon and evening. Admission is 350 Baht, but you won’t get in unless you adhere to the strict dress code. Both men and women must have elbows and knees covered, with closed-toe shoes. If you’re one of the hundreds of tourists who show up every day not dressed appropriately, the palace and street-side vendors are happy to rent you clothes for a fee. 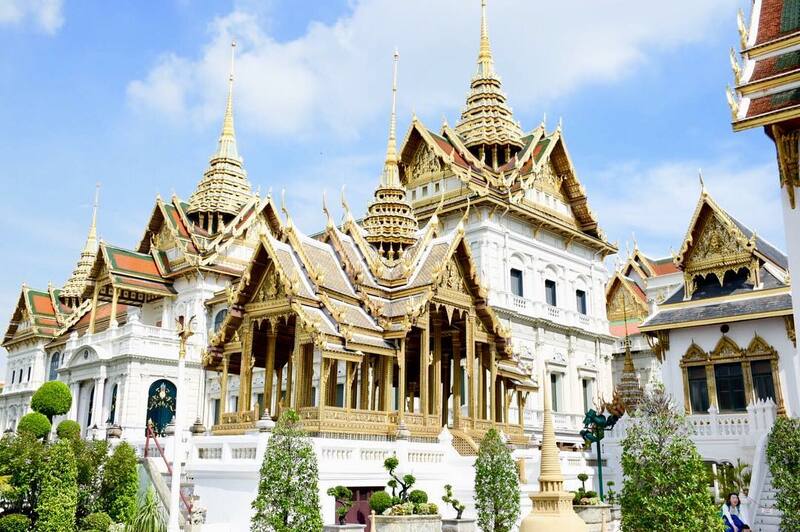 Discover the hidden secrets of Grand Palace now with Inspitrip! There are a few floating markets that are worth a visit just outside of Bangkok. Floating markets such as Damnoen Saduak, Amphawa, Bang Khu Wiang, etc. These markets start early in the mornings and mostly on the weekends. After the Grand Palace, you can move on to take a short drive to the boat pier and take a trip along the canals. Experience life on the waterways in the most famous Bangkok floating markets with Inspitrip now! 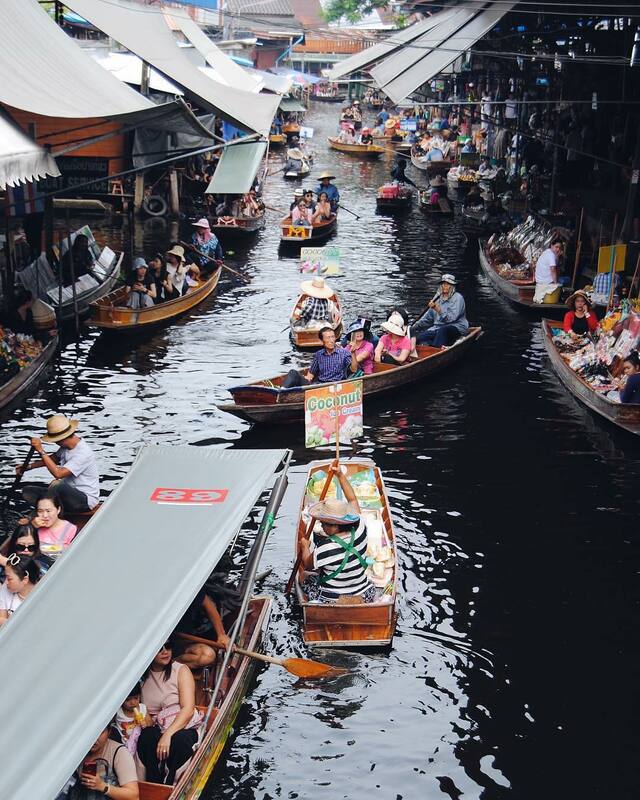 The floating markets were once the main market for local vendors and people of Bangkok but have since begun to place a bigger emphasis on its tourist appeal. You can have a boat noodle for lunch, these noodles were sold by the vendors in the wooden rowboats on the canals and rivers back in the early days. Today, most of the Boat Noodles are sold in a shop by the roadside. A bowl of classic Boat Noodles consists of rice noodles, pork liver, pig blood curd, roasted pork, pork balls, crispy fried pork skin and filled with dark brown soup. Maeklong railway market is really no distance at all from Bangkok, It’s easy to get to and well worth the trip. The Maeklong market itself is a fascinating warren of stalls many selling local seafood, but it’s the trains passing through that most want to see. You will find the Maeklong Railway Market about 20 kilometers from the floating market, which located in the Samut Songkhram region. Depending on Bangkok’s traffic, it takes just about half an hour to get there. 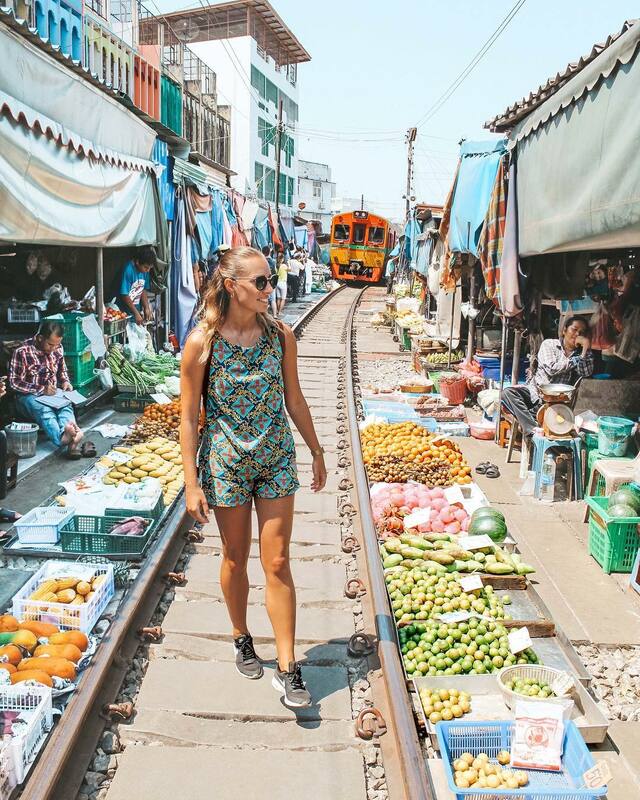 Spend your afternoon to explore Maeklong Railway Market is a must-do. One of the main things to do in this market is to watch and take photograph the train pass through. In the middle of the market, there are train tracks running all the way through the market. People are walking all over these tracks into the last minute. Now you may only have a half day left in Bangkok so shopping may seem a silly way to pass the time, but you can find the essence of Bangkok’s social culture in Bangkok’s malls. 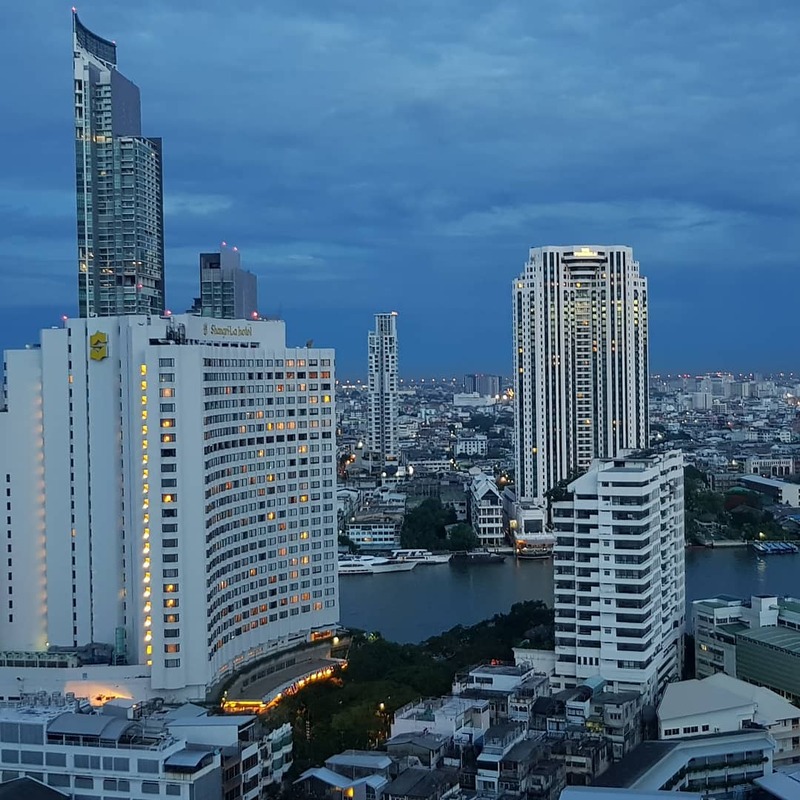 From the cheap stands lining the mall floors to the behind closed doors allure of designer shops to massive food courts, Bangkok highlights the upper-class lifestyle Bangkok’s citizens are striving for and achieving – and socializing outside the doors of luxury if they can’t. The pathways of malls are lined with locals lounging on benches, hanging out, having conversations, and sometimes browsing in the stores. 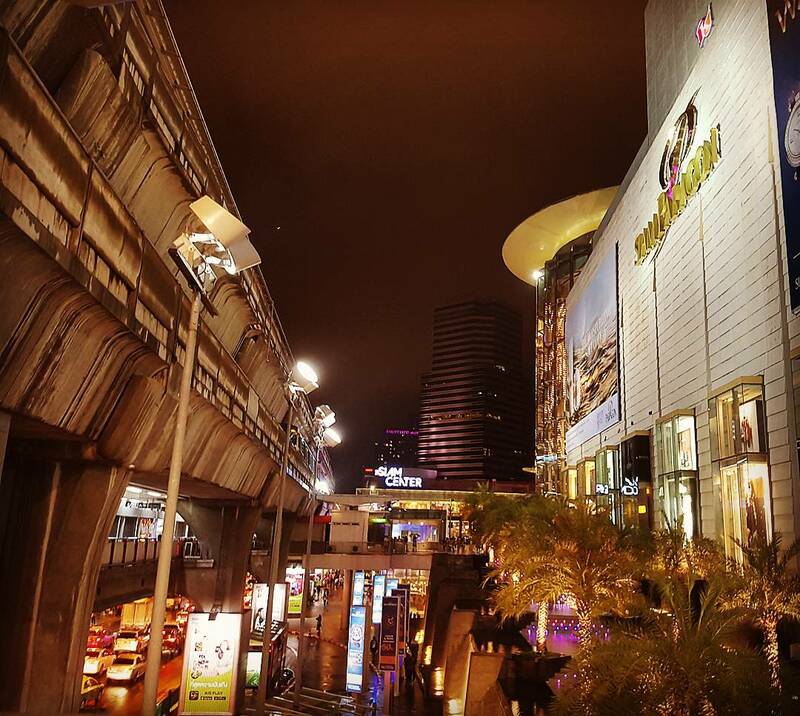 Siam Paragon mall located across from Siam square is a Bangkok institution. Level after level of stores lines the mall including lower-end labels such as Zara to high-end shopping at the likes of Burberry and Chanel. There’s even a Ferrari dealership on one of the upper levels. The new Terminal 21 mall located in downtown Bangkok is also worth a quick escalator ride to each level for a look around as each floor is designed around a different city. Another affordable choice for you is Bangkok night markets. Mostly, night markets in Bangkok are open from Thursday to Sunday. Strolling around Chatuchak or JJ Green, you can find yourself a good bargain for a unique souvernir. Street food in Bangkok provides convenient, delicious and cheap meals. Getting street food is the way to get in touch with the local culture. 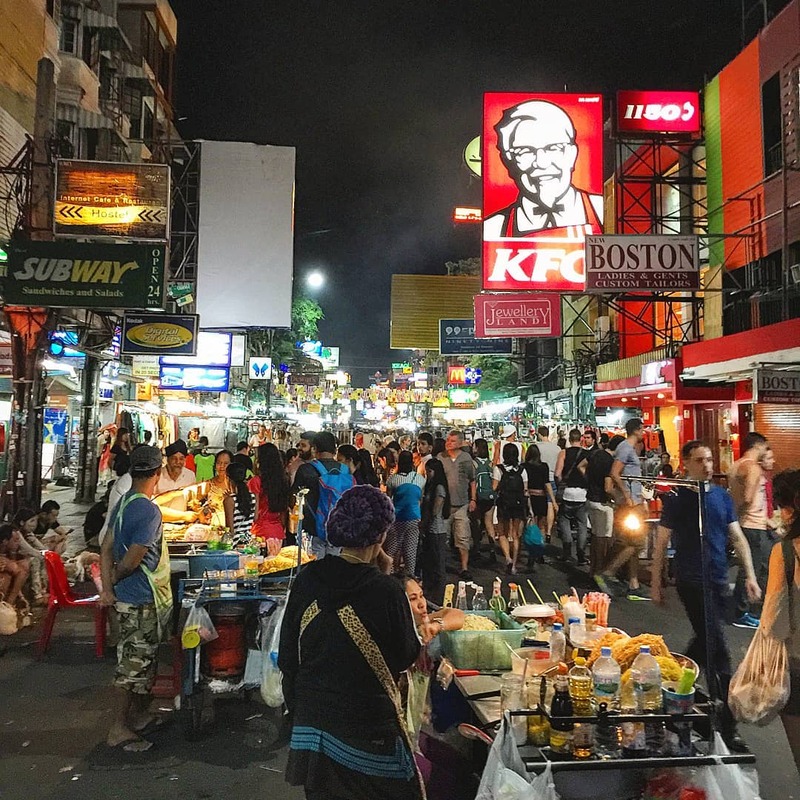 Street food in Bangkok is absolutely safe, and we encourage you to explore the night markets in Bangkok and sample exotic dishes at different stalls. Wherever you go in Bangkok, food stalls are plentiful and you will find a high concentration of them in busy areas. 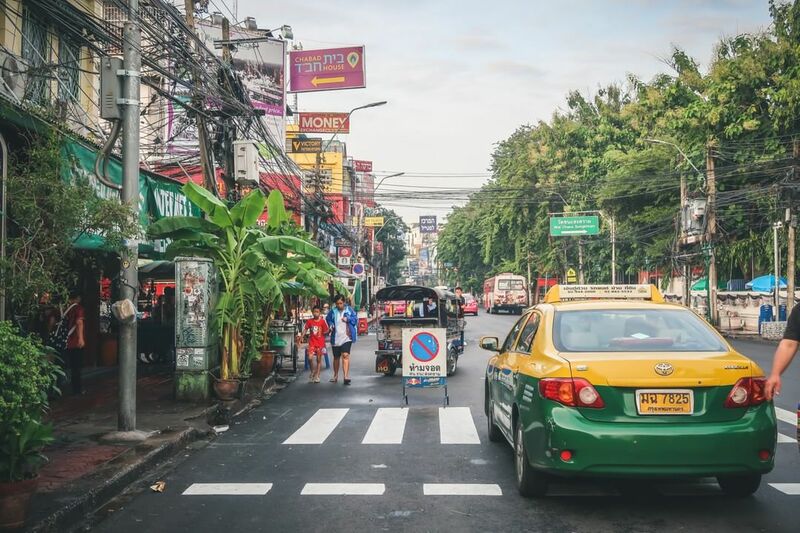 You can visit Chatuchak market with thousands of stalls and some great street food or you can venture over to Bangkok’s Chinatown for appetizing delicacies that go beyond Thai cuisine. But don’t limit yourself to these two locations; a turn down any street corner or bustling alleyway will yield busy food stalls offering satisfying culinary rewards. Get a taste of the best of Bangkok street food with Inspitrip now! 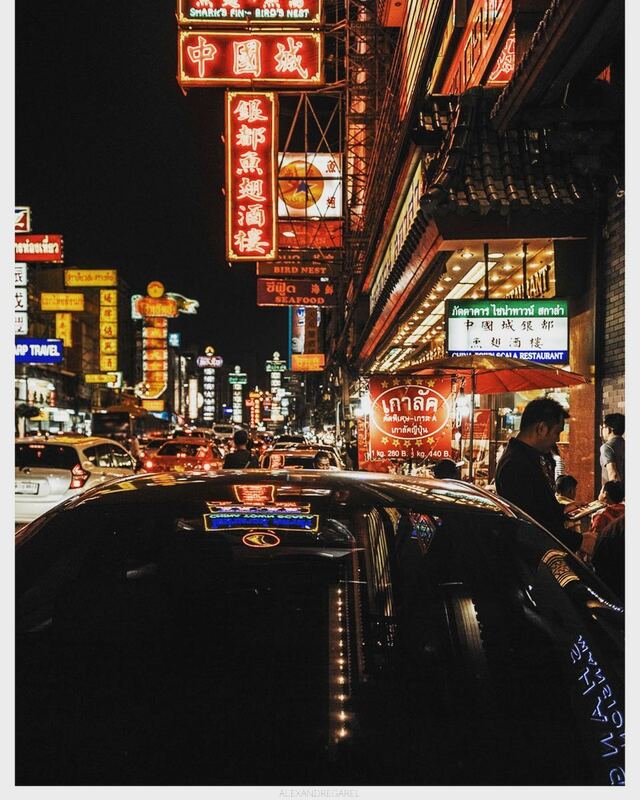 Our next stop was the famous Pat Pong Street. This place is famous for its ping pong shows. Pat Pong Street has the funniest things which you can buy on the road. You can also find a place called “Thai Thai Massage” and pamper yourselves with the best foot massage of our trip here. If you have some energy left to party, then head to Khao San road. Khao San road is alive the entire night with bars that sell cheap alcohol and play many different genres of music. This is the place to see a diverse mix of people from all around the world walking past each other on the same street, where small children laugh and play with toys, and where regal Buddhist monks browse stalls next to enthusiastic vendors. Take time to sit back and people watch when you arrive onto Khao San Road, and soak in the multifariousness of Thailand’s most lively walkway. 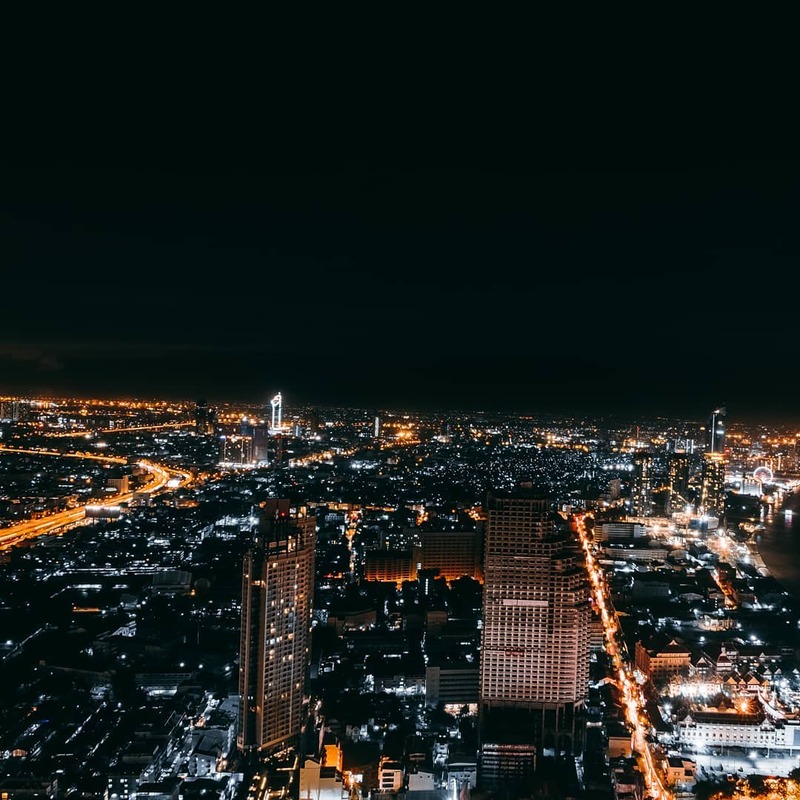 To experience Bangkok in all it’s vast glory, you have to see it from up high. 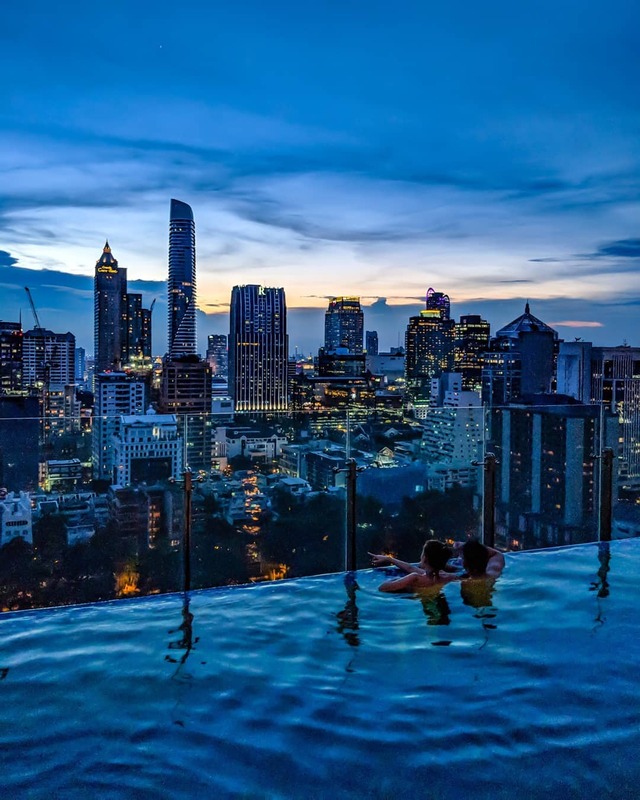 There’s no better way to do that than with a cool cocktail in hand at one of the many rooftop bars, like Moon Barat the Banyan Tree Hotel. This rooftop bar offers stunning 360-degree views as well as deliciously unique cocktails like the lychee ginger smash. If the weather suddenly turns you can head downstairs to the equally impressive Vertigo Too Lounge. Alternatively, you can take a taxi to the State Tower at the western edge of Silom Road. The Sirocco and Sky Bar is on the 63rd floor. It is known as the world’s tallest rooftop bar/restaurant with mind-boggling nighttime views of Bangkok below. This is the greatest way to end your one day in Bangkok. The best time for traveling in Bankakong is between November and end of February. Bangkok have lots of restaurants and fast food eateries. Be cautious about buying food from street vendors. Remember to look for one that’s busy serving the locals – the food there will be good. Always be respectful with regard to the Royal Family and Buddhism. The country has Lèse majesté laws strictly punishes disrespectful manners towards the Royal family. 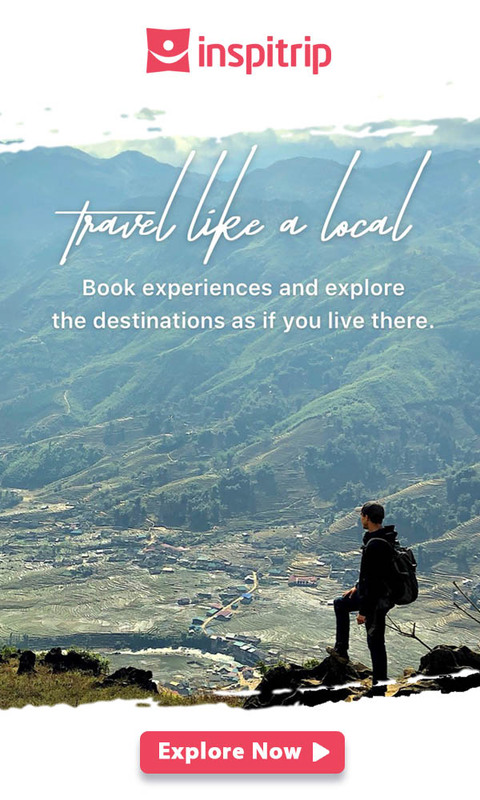 If finding a tour is too much of a chore for you, then you may consider the Inspitrip tour. It covers all the expenses and also includes pick up. For a one day tour with all the important sites covered, you won’t find a better offer.